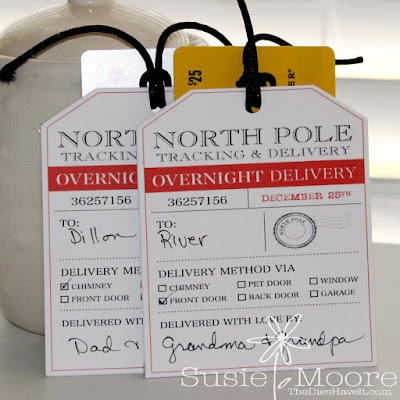 How long does it take you to get all the Christmas presents distributed? We have such a large family now that we still aren't done. Someone is always out of town and won't be back in time for Christmas! I still have one closet shelf full of gifts (including these gift cards) waiting to be opened. But it's fun to extend Christmas!!! 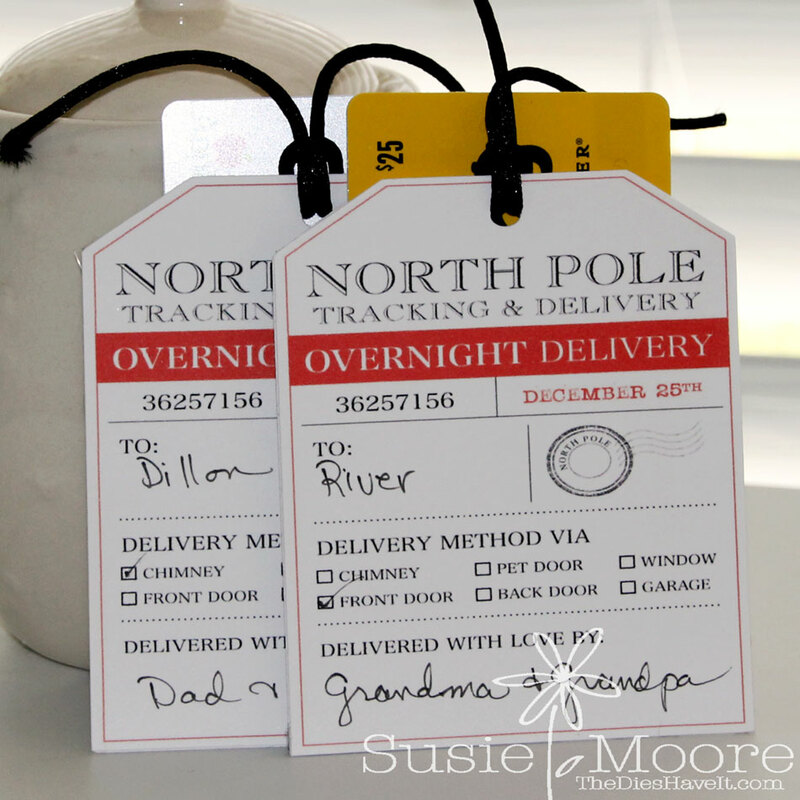 Thanks to my Silhouette Cameo, these gift tag holders were a cinch to make. A little printing, cutting and gluing and I was done! Have a wonderful day and I'll see you here tomorrow! These are very clever! Love them.